Money raised by annual event in Newry supports local education and recreation programs. 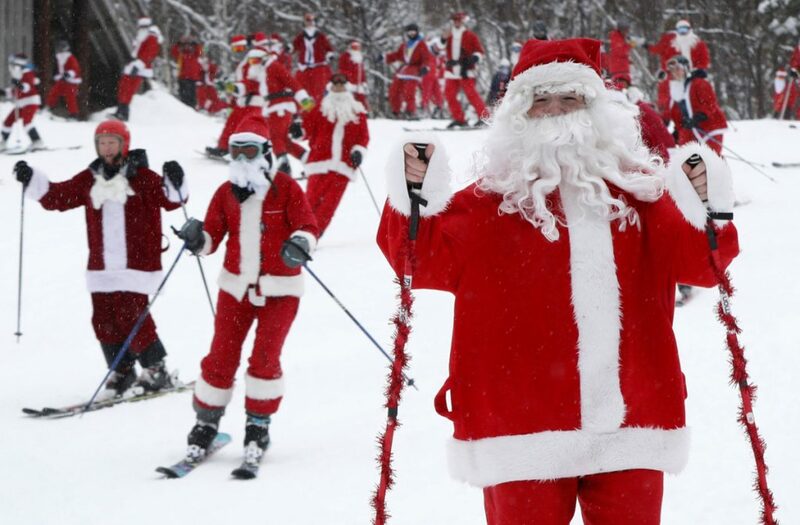 NEWRY — Hundreds of skiing and snowboarding jolly Old St. Nicks hit the slopes Sunday in western Maine for a good cause. About 300 red-suited lookalikes gathered for the 19th annual Santa Sunday in the Oxford County town of Newry, about 80 miles northwest of Portland. This year’s crop of Kris Kringles was among the largest, organizers said, despite some rain in the morning.